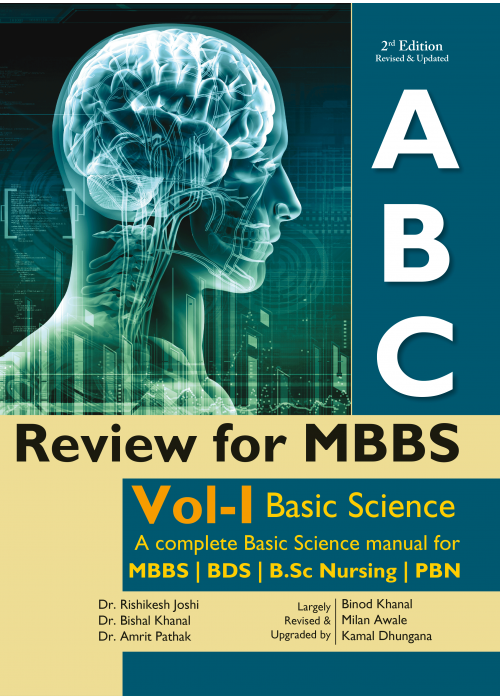 Salient Features:Concise review based on syllabus.An exam preparation manual for B.Sc. 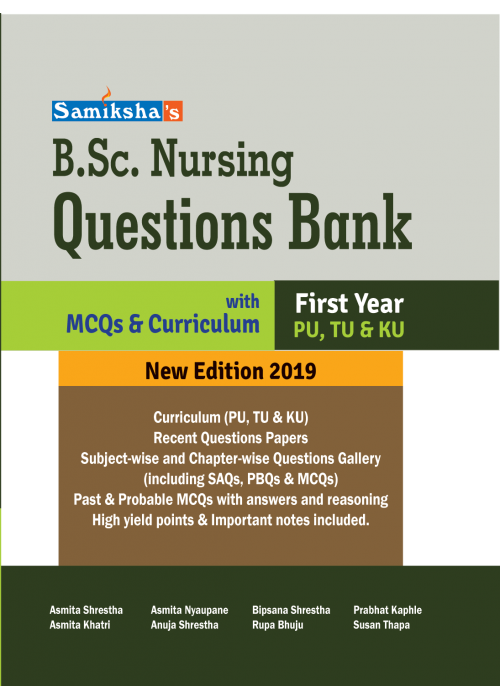 Nursing &..
Curriculum (CTEVT) includedRecent Questions Papers of 2nd & 3rd YearSubject-wise and Chapter-wis..
Salient Features:A standard textbook comprising Basic Pathology First Aid & Basic Public Health ..
Salient Features:A standard textbook of CTEVT comprising Microbiology & Parasitology.Theory and ..
Salient Features:A standard textbook comprising Haematology, Histo/Cytopathory & Biochemistry.Th..
Salient Features:A complete exam prep manual for basic science MBBS, BDS, B.Opt, BPH, B.Sc. 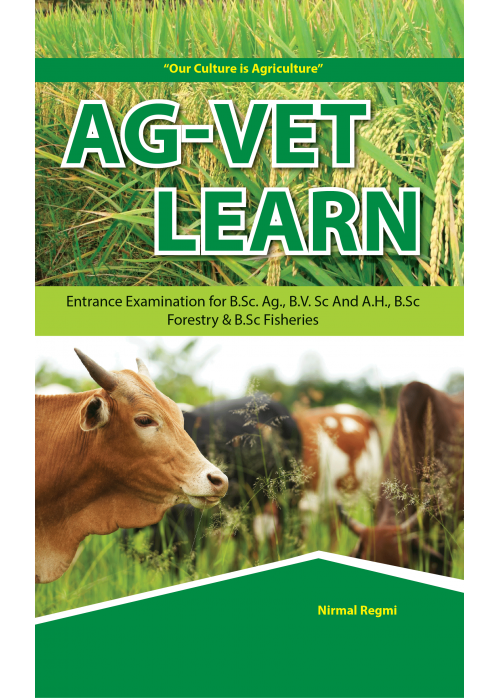 MLT, B.S..
Salient Features:Rapid Review for Agriculture and Veterinary Science AptitudeVeterinary & Fisher..
Every part of the AHW Loksewa syllabus has been covered. 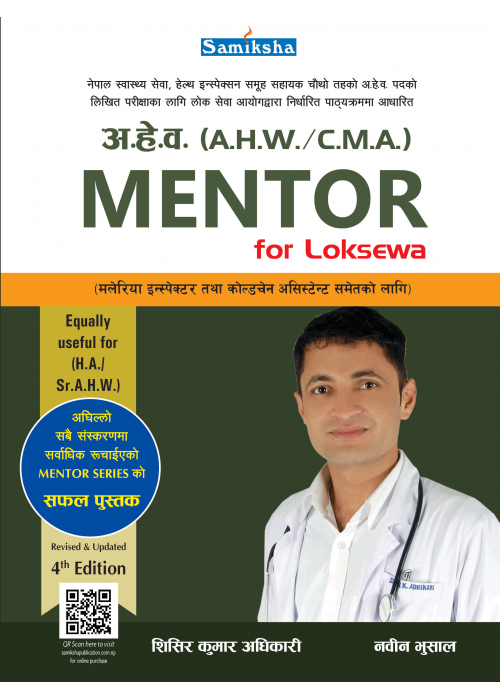 Concisely and precisely pr..
Every part of the AHW Loksewa syllabus has been covered.Concisely and precisely presented complete b..
A MD/MS entrance preparation special book for all universities in Nepal.Verified answers-supported b..
54 relatable clinical case studies Clinical Microbiology section with 10 algorithms for easy u..
A Comprehensive Prep book for ANM,Sr,ANM ,Loksewa Examination.Based on PSC Syllabus of ANM.Review of..
Frank Netter’s Atlas of Human Anatomy is a complete reference for students of medical sci..
Salient Features:Concise but complete coverage of general health & specific subjects.A Complete ..
Salient Features:Concise but complete coverage of general health & specific subjects.A quick rev..
Salient Features:A quick review book for B.Sc. 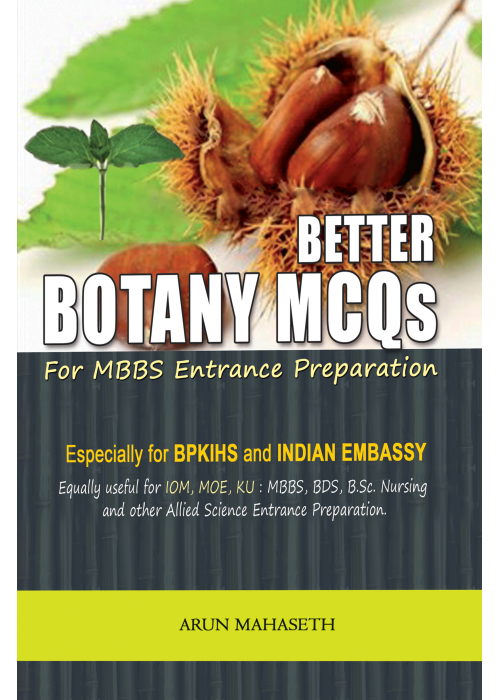 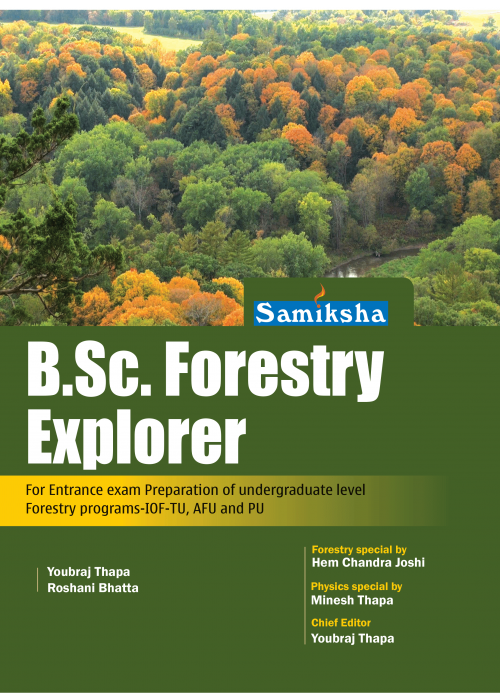 Forestry entrance exams in IOF, AFU & PU.Strictly..
Salient Features:Very useful manual for entrance exam preparation of BACHELOR NURSING.Contains past ..
Curriculum (PU, TU & KU)Recent Questions PapersSubject-wise and Chapter-wise Questions Gallery(i.. 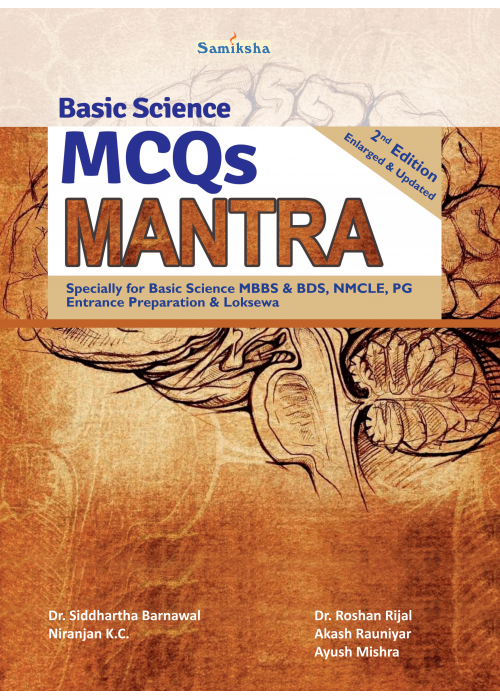 Concise review & solutions to past questionsAn exam preparation manual for B.Sc. 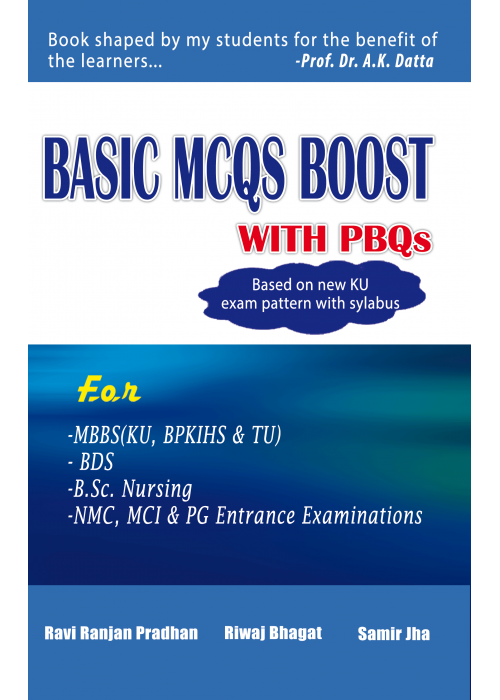 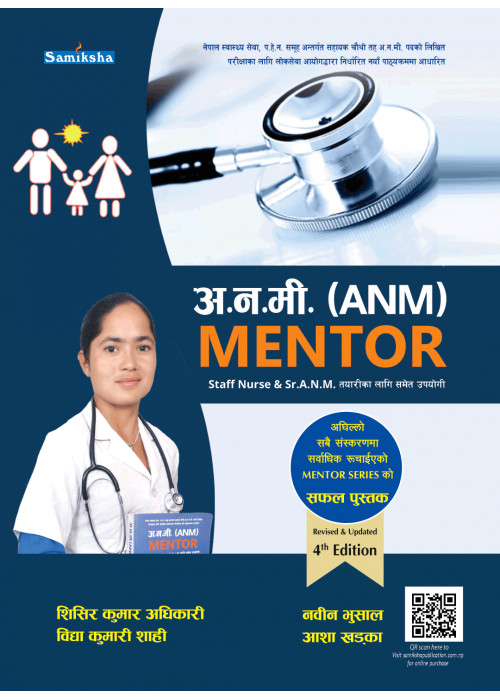 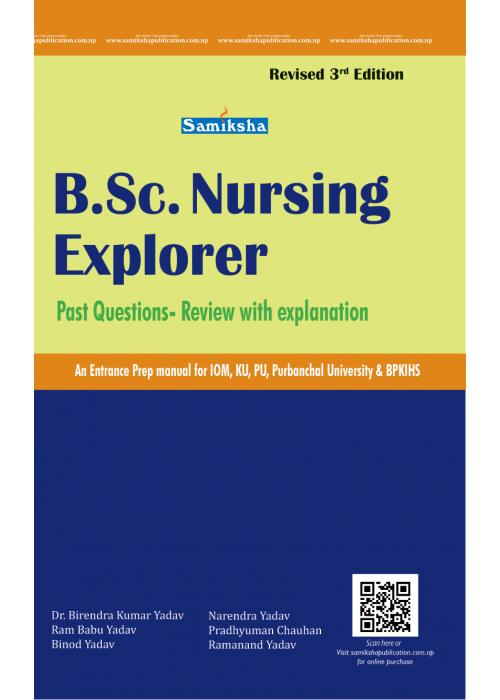 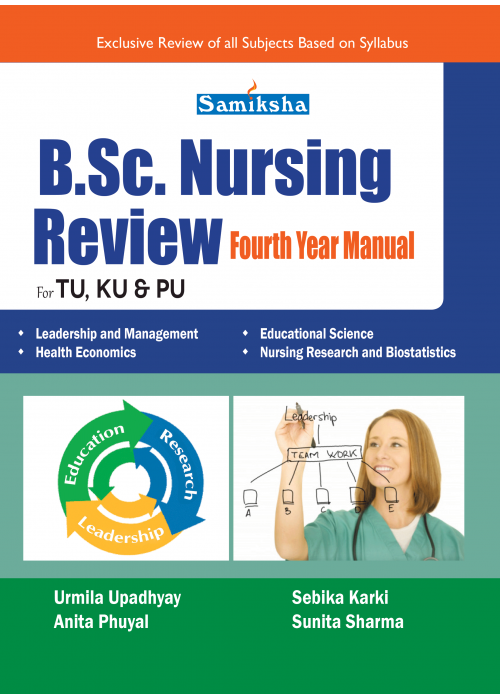 Nursing & B..
Salient Features:A Perfectly developed book for BAMS Entrance examinationSpecial focus on special su.. 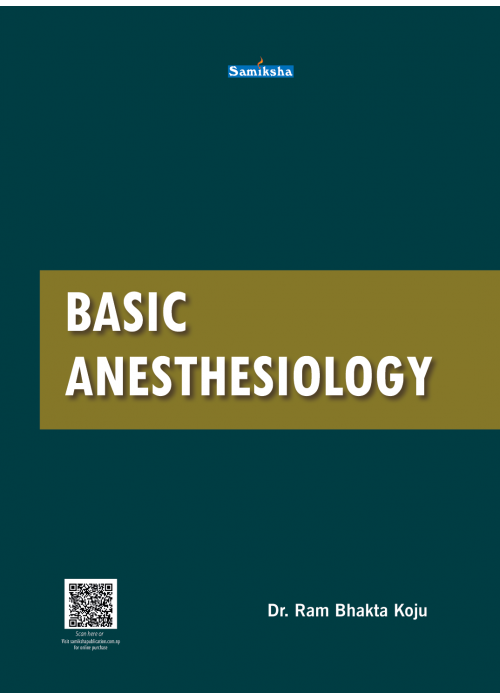 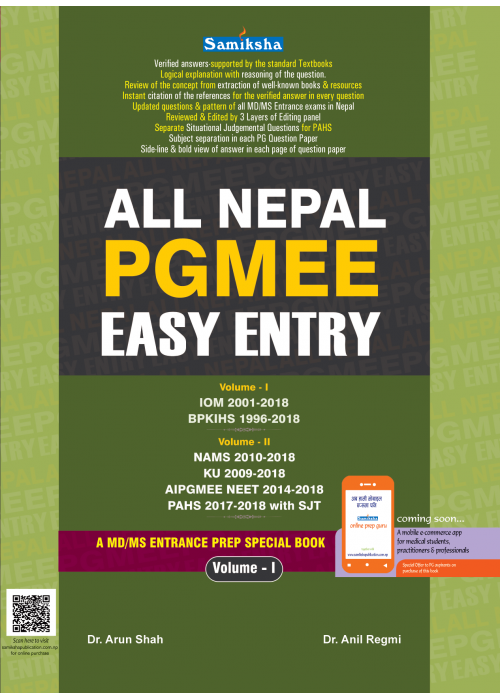 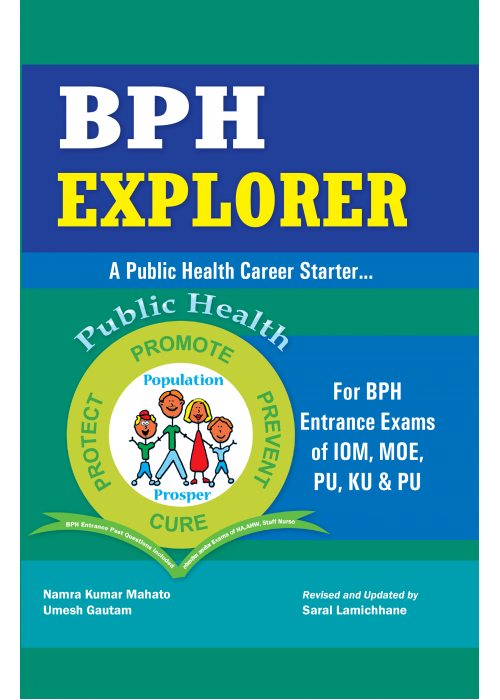 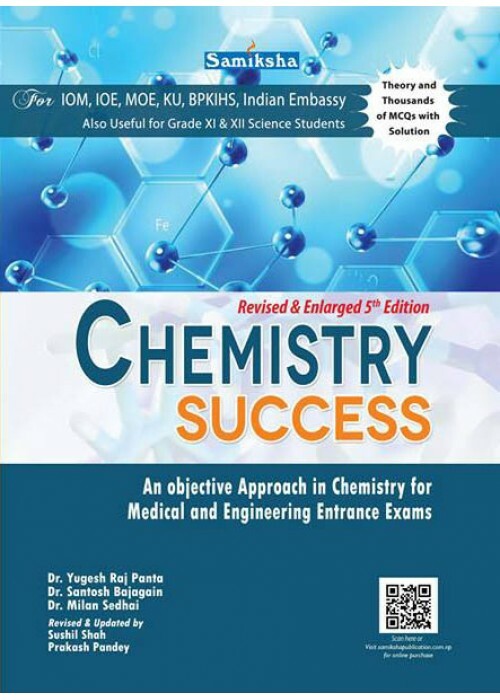 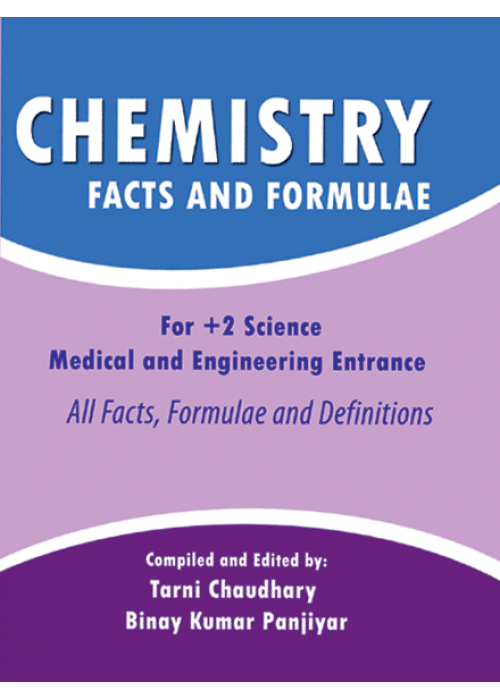 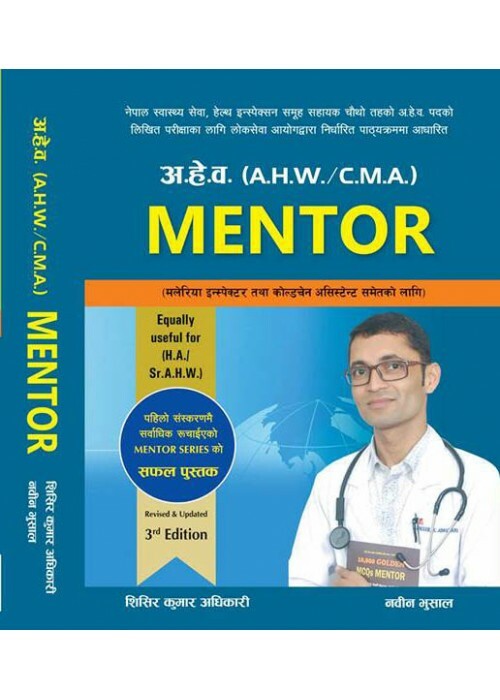 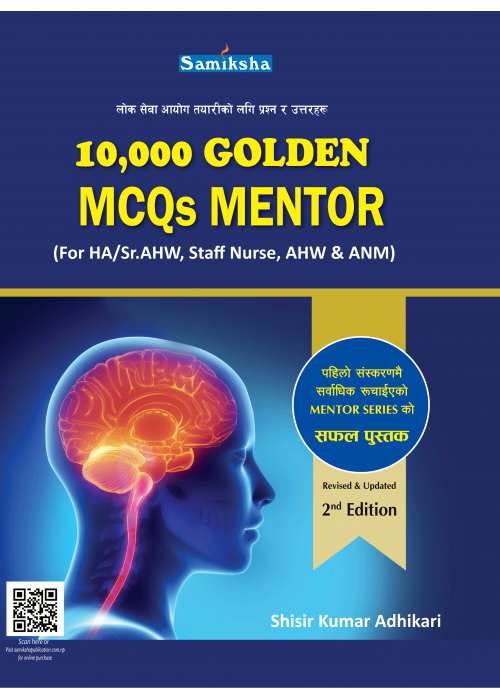 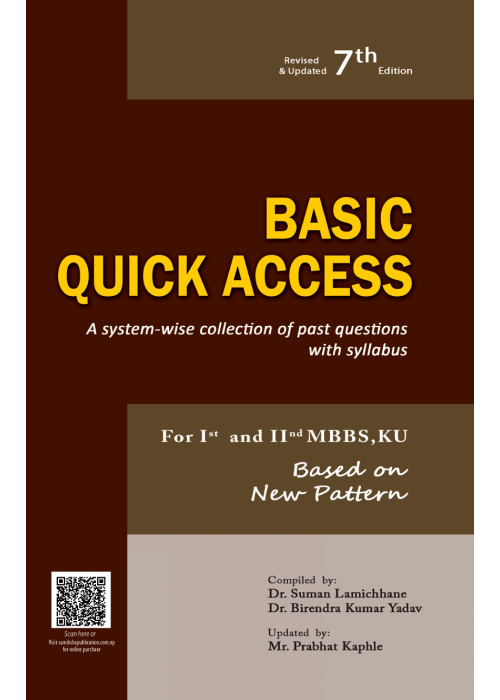 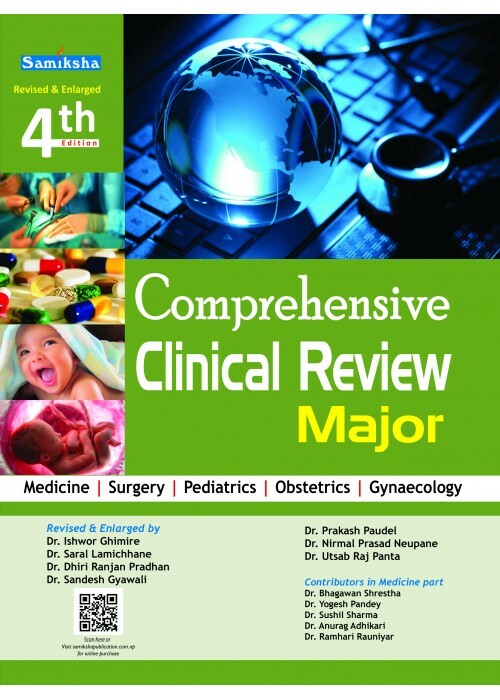 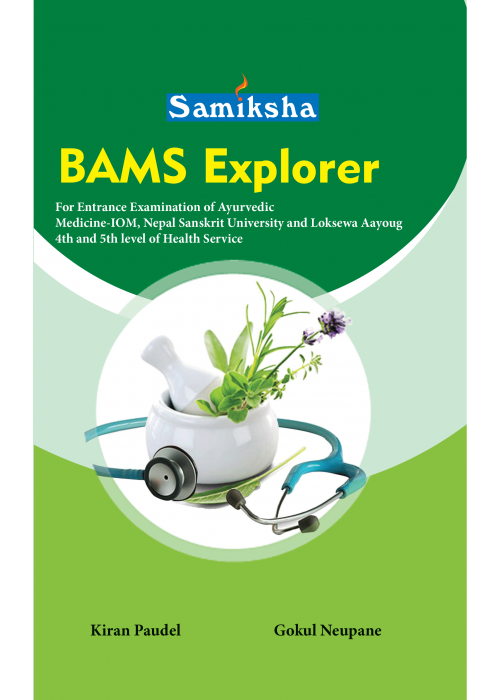 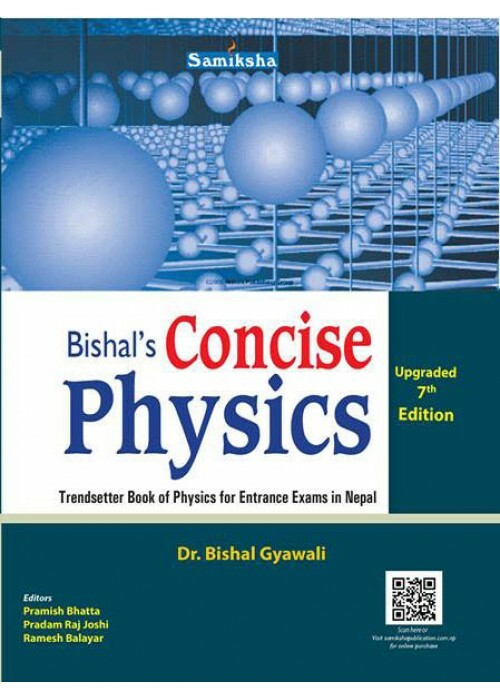 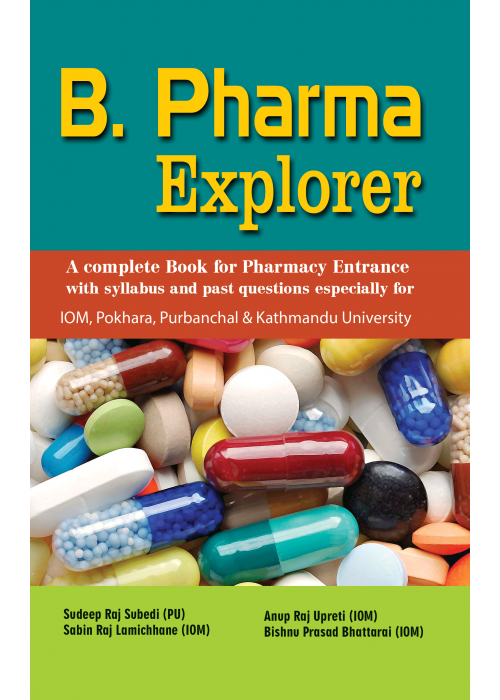 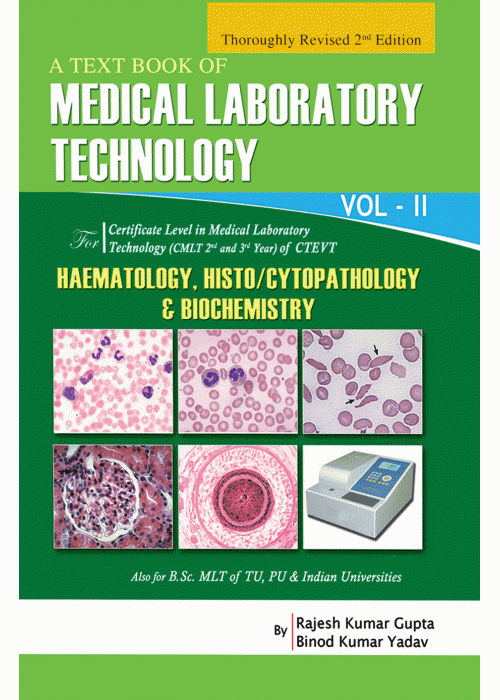 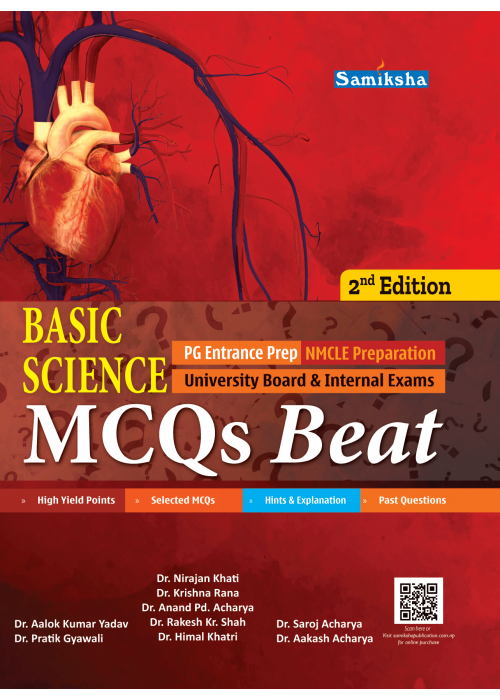 The book is based on curriculum of various medical academy and medical universities in Nepal and S..
Salient Features:Latest TU & KU Questions.Probable questionsSample viva questions are included.C..
Salient Features:Convenienty organized by organ-system and General principles of Basic Sciences.MCQs..
Salient Features:Includes a system wise Collection of past KU Board exam questions together with the..
Salient Features:High Yield Points for each topic.Ample number of selected MCQs with Hints, Explanat.. 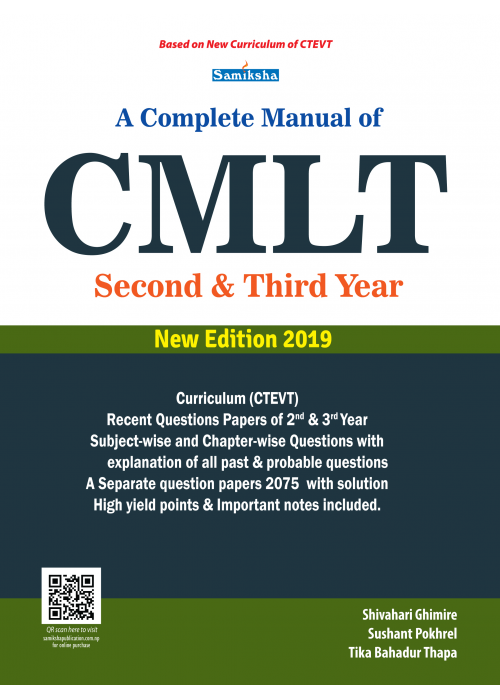 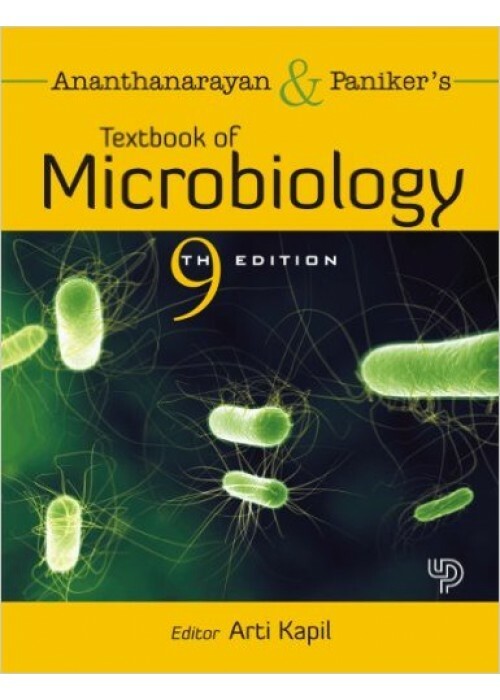 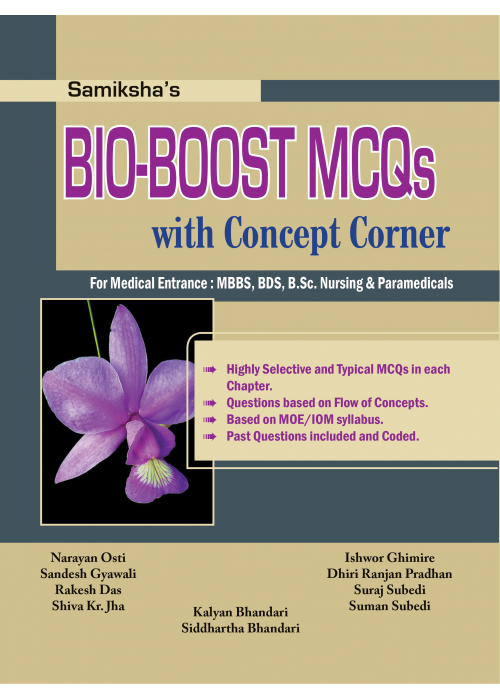 Ample number of MCQs Collection arranged in conceptual flow of the text.Chapter-wise breakdown of qu..
Salient Features:Multiple choice questions in Botany especially target to the students for BPKIHS an..
Salient Features:Highly selective and Typical MCQs in Each chapter.Special and important notes are i.. 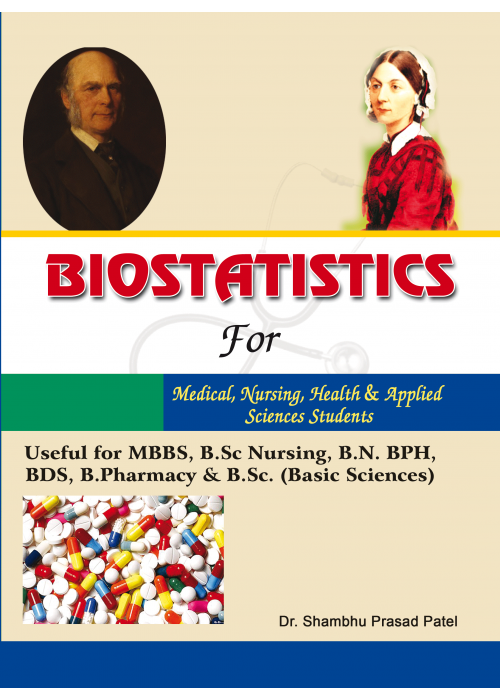 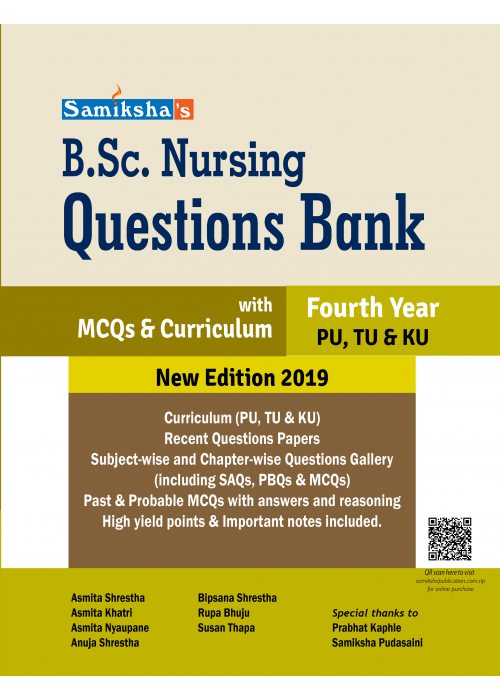 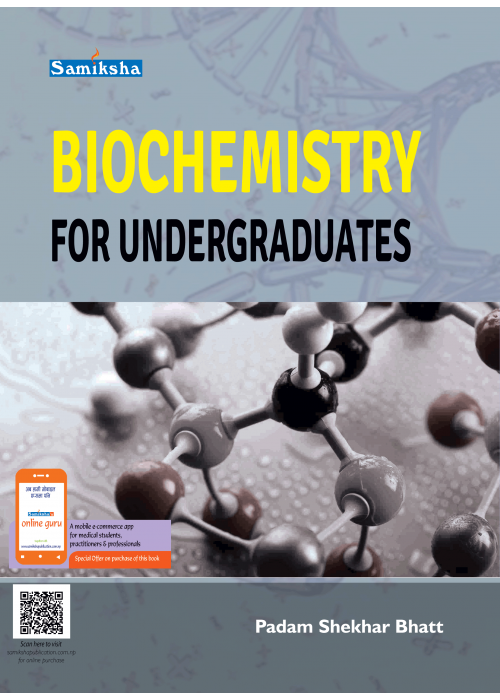 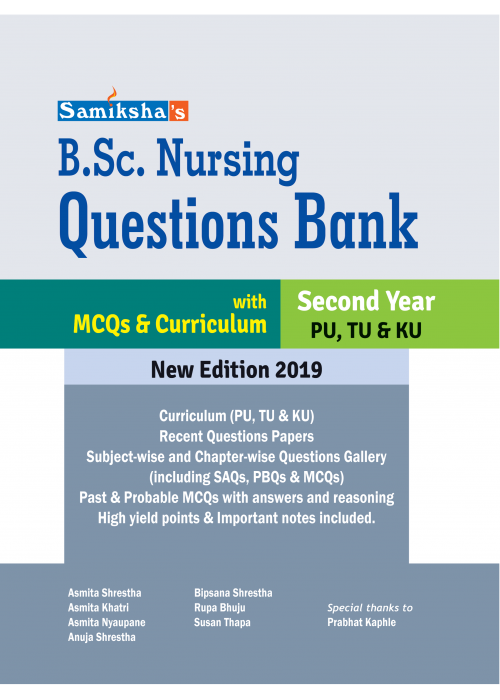 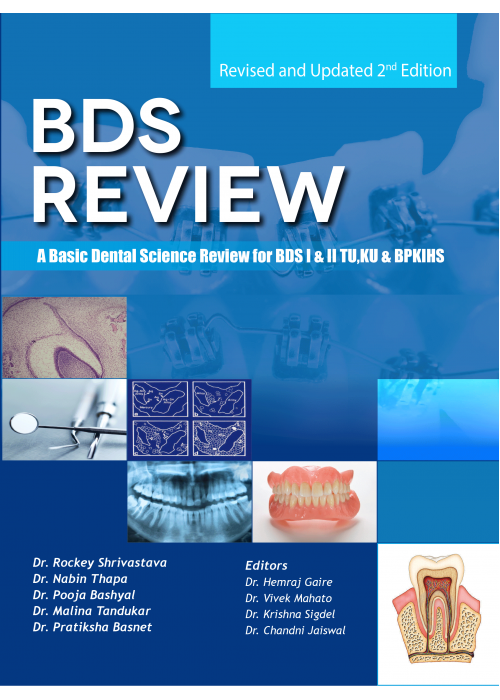 The book incorporates the content based on curriculum and updates of different bachelor programs of ..
Salient Features:Adequeate Materials on course of Biostatistics are prescribed for Bachelor Level pr..
Salient Features:Interactive way of theoretical presentation with highly selected MCQs written by th..
Curriculum (PU and TU )Recent Questions PapersSubject-wise and Chapter-wise Questions Gallery(includ..
Salient Features:A quick review book for BPH entrance exams in IOM/MOE & other universities.Stri..
Salient Feature:All Facts, Formulae and Definitions For:+2 Science,/Medical and Engineering Ent..
Salient Features:Special/Additional notes are added included in addendum sections.Concise but comple..
NEW Enhanced color illustrations and art program to facilitate visual learning.NEW Improved consist.. 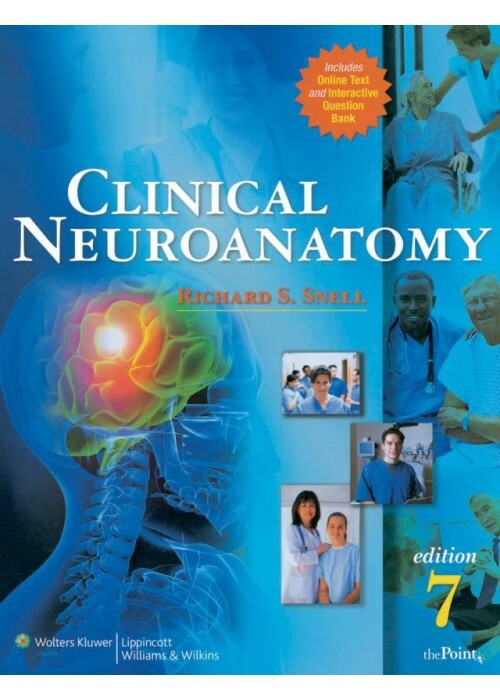 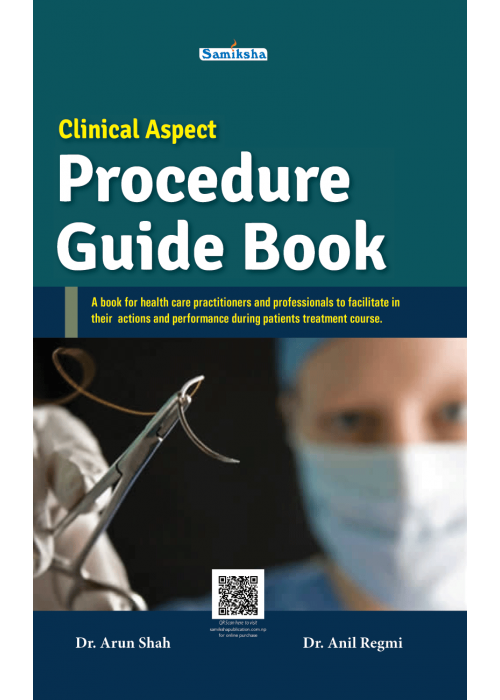 The book facilitates health care practitioners and professionals in their actions and performance d..
Salient Features:A well structured manual for clinical examinations and practicals in clinical phase..
Clinical Neuroanatomy is a comprehensive book for undergraduate students of Medicine. 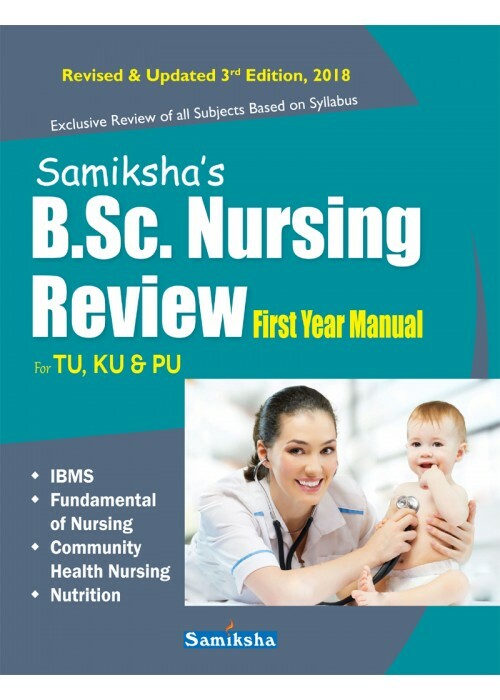 The book..
Salient Features:Quick review book during last hours of examUseful for students of BN, B.Sc. 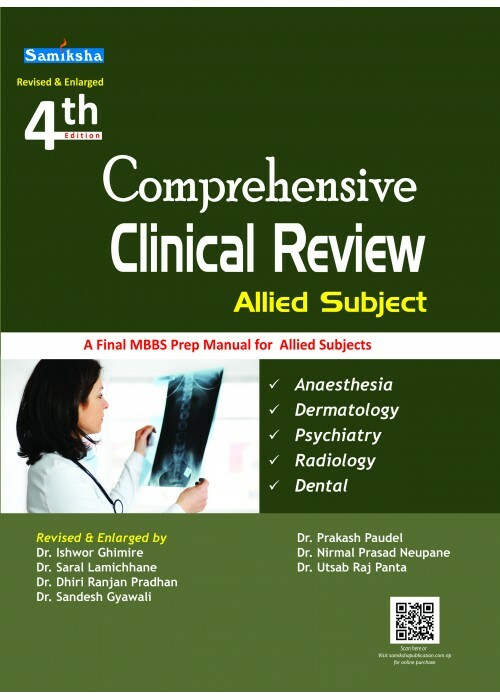 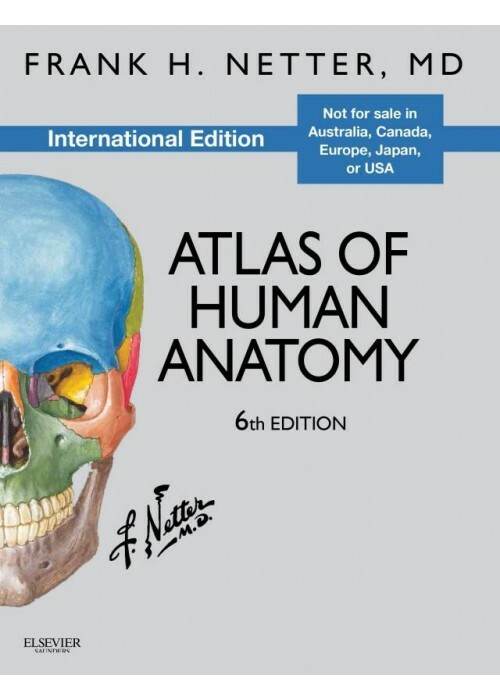 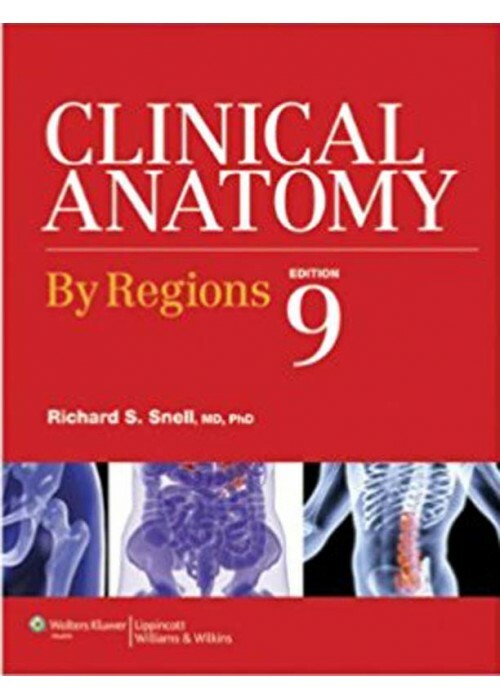 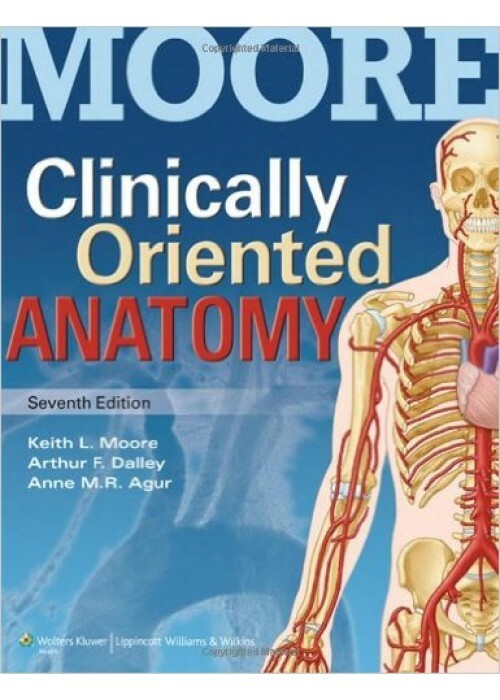 Nursing..
Clinically Oriented Anatomy provides first-year medical students with the clinically oriented anato..
Salient Features:An exclusive review of allied subjects of MBBS based of TU syllabus.Complete review..
Salient Features:An exclusive review of major subjects in MBBS. 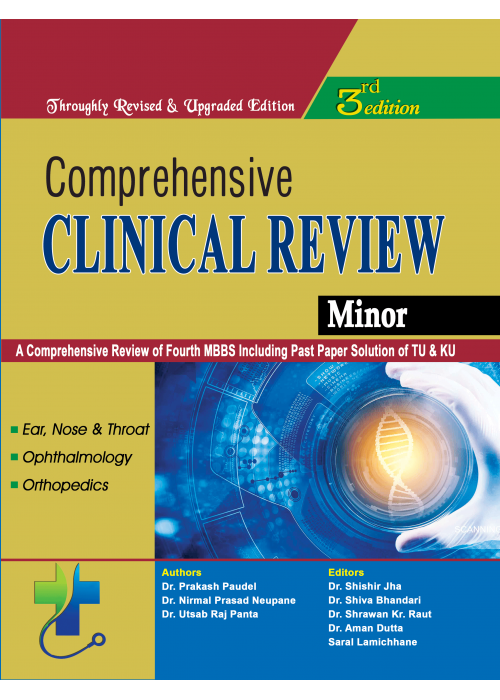 based on Syllabus of TUComplete solu..
Salient Features:Complete review of TU & KU based Clinical subject.Mnemonics,extra notes & r.. 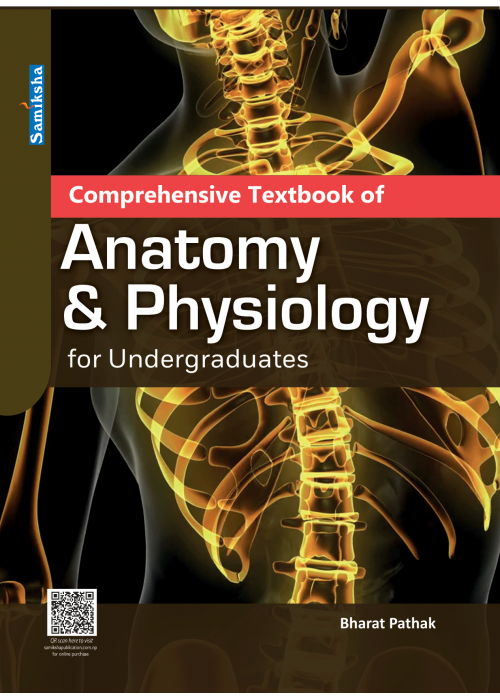 The book is developed to address the need of a standard textbook in ANATOMY and PHYSIOLOGY as per th..
A Curriculum based book for Undergraduate nursing programs- B.Sc. 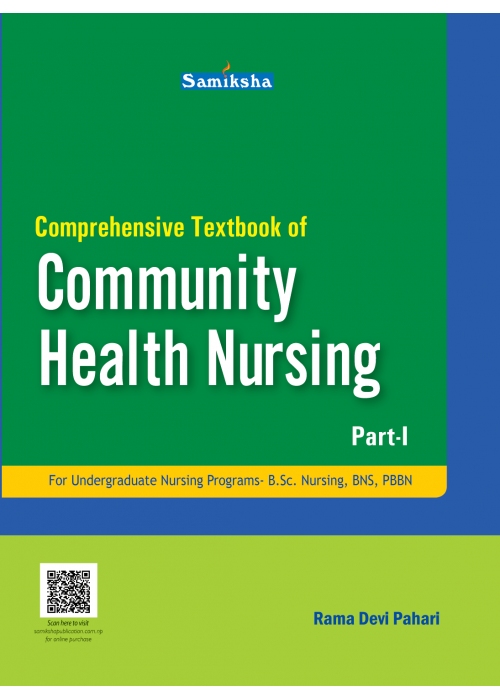 Nursing, BNS and PBBN.This book ha..